Welcome to Clive Jackson Video Productions, a video production company based in Hampshire. We provide professional corporate videos, training videos, team building videos, greenscreen services and promotional videos for clients in Hampshire, Sussex and Surrey. Clive has over 20 years experience behind the camera and in the editing suite, and over this time he has built up the reputation of the company. Clive Jackson Video Productions is known for delivering a first class video service to its customers, on time and within budget. Why choose Clive Jackson Video Productions? With a background in the Royal Navy, Clive has an eye for detail, precision and deadlines! 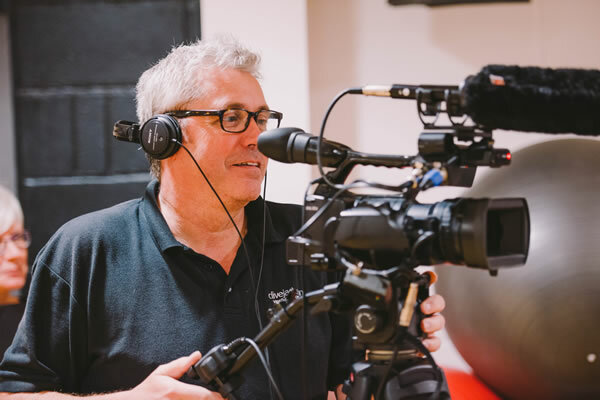 If you are looking for a small, friendly and professional video production company to deliver a creative, interesting and informative video, then please give us a call on: tel: 01329 236585. Video production tells the story of your company through film. Videos are visual and powerful and can influence decisions. They are also a great resource to use across all online social media platforms and on your own company website. Our portfolio of work is extensive and the website gives you just a flavour of what we can do. Please call us to have a chat about your video requirements and ideas. We love working with Clive. He’s both friendly and professional – a great combo! We can rely on him to deliver us a product to the highest standard and look forward to working with him in the future. We work closely with you – from your initial idea through the planning stages, location shoots to editing and post production. We deliver first class video production and service every time. Our flexible and creative approach to each new project maintains the excitement and continued drive to produce videos of the highest quality. Below are just some examples of our work, others can be viewed at You Tube and Vimeo. We understand that our customers want assurances to demonstrate that we can deliver a professional and quality service. Recommendations speak volumes and we pride ourselves on our reputation within the industry of video production. Below are some testimonials from clients and fellow professionals in the industry. Once you have read them, please contact us about your video project. Massive Thank You Clive for all your help with our production, we have really enjoyed working with you. Video is a new communication channel for us and it has been brilliant working with Clive. His professional approach and ‘can do’ attitude is evident along with his passion and ability. We are already working on a rolling programme of filming based on the successful completion of a number of training videos. Once again thanks for creating such a wonderful account of our day! The video messages were perfectly placed and combined with the music it’s always a blubfest no matter how many times we see it! Our Wedding video is simply stunning. The quality is amazing and a testament to your dedication, attention to detail and enthusiasm, both on the day itself and during the following weeks of editing. We would strongly recommend any future Bride and Groom to budget for this, as it is a simply priceless archive of the day being able to see all the bits we missed and enabling us to relive the day is just wonderful and very emotional. We have no hesitation in recommending you to friends. Thank you for all your heard work you have put into the show. You truly made this show look and sound amazing! It was a great day for Winterdale Cheese and enhanced all the more with the professional account of the day. The video will be a great way for us to promote what we do and our green credentials. Look forward to working with you again on the next promotional project, hopefully Europe! We would love to speak with you about your video production requirements, ideas and concepts. Please leave a message as we may be filming or working in the studio, editing or working on sound recordings or voice overs, and therefore unable to take your call. If you can leave your name, a preferred contact number and a brief outline of your enquiry, we will get back to you as soon as possible. Thank you for your patience and for your interest in our services. 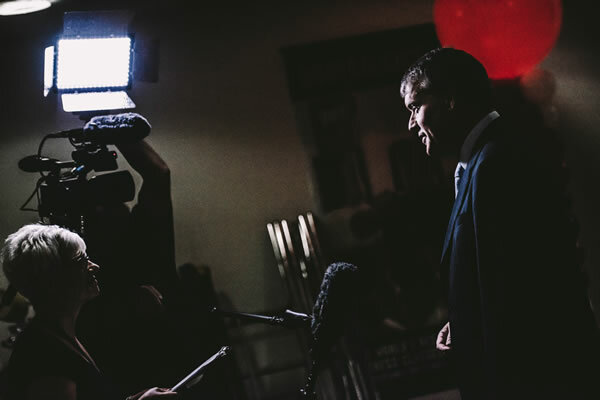 Alternatively if you would like to ask us a question about filming please complete the form below with your enquiry and we will get back to you as soon as possible. Our video production team provides a range of services from corporate videos and product launches to lip sync videos and everything in-between! 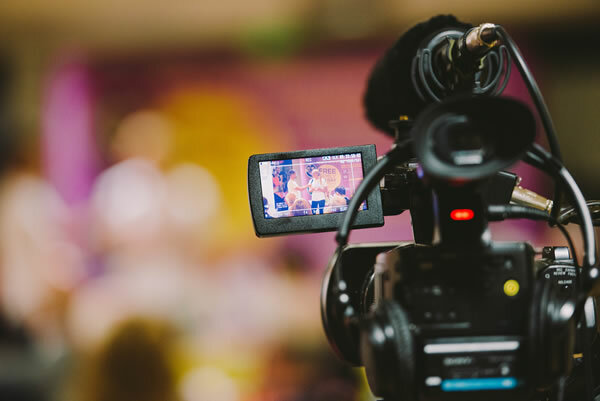 You may be looking for a video to promote a particular product or service within your company, or perhaps you are required to educate your staff about a new area within their job role – a training video works wonders to educate and inform. You may want a unique background for your video and this can be created with the use of our green screen. Perhaps you would like us to organise a great teambuilding event, where staff can shoot their own commercials (with training from us first!) or it could be a light-hearted lip sync video to be shown at a wedding or an 18th birthday party. We even provide freelance video services to other film and video production companies. Please click through to the individual pages to find out more information about a particular video production service. Master Member of the Institute of Videography (IOV) our work has passed the scrutiny assessment required by the Institute to gain this accreditation.